Did you know WordPress has a HubSpot plugin? WordPress - the open source content management system platform used by millions of individuals and businesses, can integrate with HubSpot - the inbound marketing platform with blogging, landing page, contacts management, email and marketing automation functions. If you're sold on HubSpot but don't want to give up your existing WordPress site, you can do incredible things using the HubSpot for WordPress plugin. Business managers know that Wordpress has a large collective of developers dedicated to giving advanced functionality that is literally plug and play – making the platform a powerful tool for professional websites. HubSpot makes marketing automation easy. For example the HubSpot contacts module lets you collect real time website interaction for users who have filled out your forms, received your emails and visited your website. HubSpot administrators can also set up call to action buttons, emails and landing pages in minutes, making online marketing easy (finally!). Do you offer database driven content (real estate listings, products, etc.) using WordPress plugins? Keep your front-end interface and add HubSpot to track which listings are popular, which listings lead to conversions, and which listings might not be effective enough. Having trouble getting users to come back to your site? 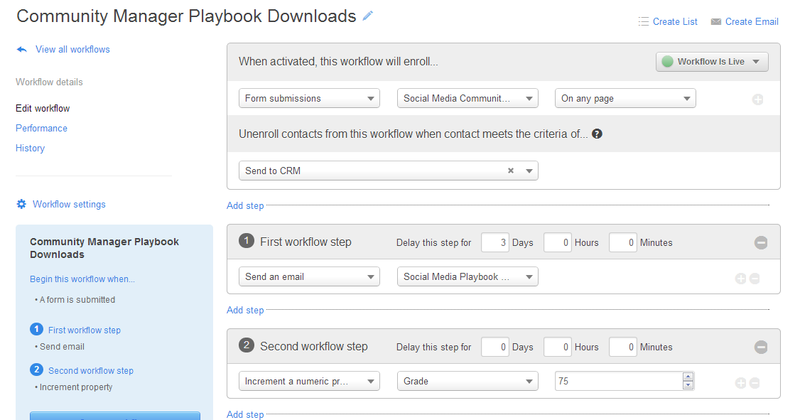 Add HubSpot forms to your WordPress site to start collecting priceless data from your contacts. Then offer advanced content to increase engagement with email! Best in class email templates are already loaded into HubSpot accounts or you can add your own. Use the HubSpot CTA tracking module on your WordPress website to quickly set up buttons. Track click-throughs on these buttons with your contacts. Even better – create a list of users that have clicked your CTA to follow up with them (with similar CTA messaging) by email if they don’t convert. Are you new to inbound marketing but eager to get sales-ready leads? Set up a HubSpot landing page to collect new contacts – then set up a workflow that sends emails or sends them into your favorite CRM for your sales team! Amplifying your WordPress website through HubSpot is a powerful way to attract leads and determine which leads are the most qualified. Need some help figuring all this out. Just give us a call.